The facts are conclusive and inescapable. When you are attacked, you have 7 Seconds to Stop the Attack before it’s TOO LATE. If you are like 95% of the general public nothing! Learning to escape from a violent attacker doesn’t mean you have to put on a ton of muscle and lose your sense of self. You can learn these simple techniques alone or with a partner, and once you have them learned you will have them for the rest of your life. Another great benefit is in being in better shape. Yes this offers you some amazing fitness information as well. If you do not have the money or time to get a real Black Belt or want make your body into a true deadly weapon what can you do? Well, until now your choices were Not very good. You can go to a Martial Arts School and spend $100’s of dollars, maybe thousands of dollars and Months and Months of training and Still 80% of the people in the class Won’t be able to defend themselves in the vital 7 Seconds required to escape. You can arm yourself with a stun gun or a real gun, but then you have the fear as a parent of someone getting hold of the weapon and hurting themselves. Also these self defence skills are something that anyone can learn. If your child is being attacked they will be able to quickly resist the attacker and run away. There is no legitimate instructor in the World that is going to advise that a 8 year old face off against a 30 year old man. However they can resist and shout and then run away. You will even discover a simple tool that will give you or your child the ability to defend yourself against a 300lb man when properly trained. You can even learn to use this on a plain as this is completely legal and safe in everyway. But Now You Can Learn to Defend Yourself From Any Size Attacker in only 7 Seconds using Grandmaster Ted Gambordella Seven Second Self Defence System. 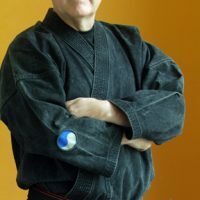 About your instructor: Ted Gambordella, is a 9th Degree Black Belt, a member of the Martial Arts Hall of Fame and a true Living Legend in the Martial Arts Industry. 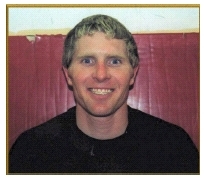 He has trained many thousands of students in self defense and traditional Martial Arts. As a Grandmaster for nearly 40 years very few if any instructors have his experience on knowledge anywhere in the World. 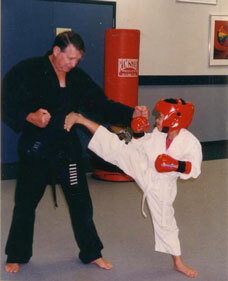 Grandmaster Ted Gambordella is also the founder of the M.A.M.A. and the M.A.W.A., helping other instructors learn to teach and train others from all over the World. You do not have to be in great shape or have the strength of a weight lifter to use The Seven Second Self Defense System in fact anyone can do this. I have trained my students of all ages and sizes this system. Until now if you wanted to learn the Seven Second Self Defense System you had to travel to Texas and train directly with Ted Gambordella. Now thankfully, this information is available online for the first time ever. Do not waste you time and money on any other program, this will work for you every time. Also it is so easy to learn that anyone from 9-90 can learn this in just 7 SECONDS. People ask me all the time if they too can learn Martial Arts, women, children, and many men just can’t see themselves learning Martial Arts. I tell them all I can show you how to defend yourself in just 7 seconds. I then tell them about my Seven Second Self Defense System and they are doubtful, then I ask them for 7 seconds of their time. Just ten seconds later they are floored and literally blown away with how simple real self defense can be. It is all a matter of proper training, and accurate application of that new knowledge. You will find nothing else like the Seven Second Self Defense System anywhere online or off, or for any price. I could charge hundreds of dollars for this training, and get it every time, however; I can not teach people all over the World personally. Even in major seminars I can only reach mere hundreds at a time. Now thanks to the Internet I can offer the Seven Second Self Defense System for this low price because of the lack of the overhead and expense, and spread my knowledge of self defense to the World. I want you to be safe, and I want you to feel safe as you go about your daily life. You deserve the peace of mind that this simple training can offer you. I want to help you help yourself. I am so interested in seeing people protect themselves that I am going to include several other publications as a special thank you for your trust in me as your instructor. It is your promise to those your love that you will stay safe, and that you will keep them safe in the event of an emergency. You have to learn to protect those you love and care for now. Who knows what situation you might get into in the next year, where you might need this information and training. Do you want to be ready, or just hope that your luck holds out? We want you to be safe, and to feel more confident as you walk the mean streets of this World. What happens if you are not ready to defend yourself, well best case scenario is you are only injured. We don’t need to go into the worst we see enough of that on the TV every single day. Calm down and take a few more moments to read this entire web page and then read it again if you have to but whatever you do please get your copy and protect yourself. In my new Seven Second Self Defense System that you can’t get anywhere else, I’ll show you what I’ve learned works on the street. What you are about to download will SHOCK and THRILL you at the same time, because when you’re about to be SLAUGHTERED or ROBBED.. or become a statistic for the FBI, you will be able to stop the thug in his tracks. Yes, in seven seconds and with just one hour of practice you can learn a safe self defense technique that can rescue yourself from almost any real World threat. This amazing self defense system and complete training package does not involve any illegal self defense product, or weapon. You could be the hero that does this on the plain and protects everyone. our schools these days. You can be a 95 pound women who knows nothing before this simple training method then after one hour of reading and practice you could drop that scum to the ground and have your students leave and go to the office for the Police. Not for them but to protect yourself legally from the thug, at least you can say you cared for his life after he cried like a cat with a stepped on tail. IN 7 SECONDS IS AWESOME! When you download my guides you’ll instantly discover exactly how to do it and you will learn your First Escape in 7 Seconds from Opening the Book or viewing the DVD. You bet not only will you be able to download the EBOOK but I also include a DVD video so you can learn this system instantly. Yes, even if you can’t learn well from manuals or books it will be no problem because the video shows you how to defend yourself. There is no training in the World like the Seven Second Self Defense System it simply does not exist. These inside secrets have not been shared with the general public before. Even Black Belts who have trained for years in most Martial Arts Schools never learn this information. The information in the Seven Second Self Defense System is there to help you protect yourself. You can feel better as you shop this coming Holiday season, you don’t have to feel uncomfortable as you walk to your car. * You don’t need to train for months and months to master these techniques! I’m sure you don’t have tons of time to waste every day because you’re a busy person! That’s why you can become a killing machine with this unique combat system in 7 SECONDS. * There are no uniforms, religion or funny customs and no monthly fees! This ‘aint martial arts and there is nothing to do with customs, religion, you don’t have to wear a uniform and you don’t have to bow down to your masters. What you get is a complete no holds barred street defense system that shows you how to escape any violent confrontation alive! * You don’t need to learn complex techniques! We only give you 20 power moves so you don’t have to know thousands of moves and blocks! All of these techniques are extremely devastating and can be mastered within a few hours! I want you to take my Seven Second Self Defense System for a RISK-FREE test drive for the next 60 days. Go ahead and learn the technique and even practice with a friend if you like, you are protected with a 100% MONEY BACK GUARANTEE for a full 60 days. Don’t try any other training program or package from any so called professional. I have the professionals learning from me! 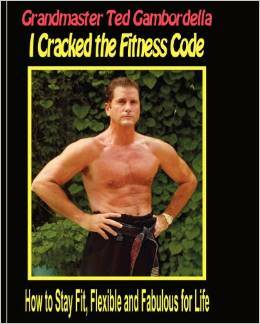 My name is Ted Gambordella and I have written 42 books on Martial Arts and after nearly 40 years as a Martial Arts instructor I have created the most easy to follow system you will ever find anywhere and at any price. I personally challenge anyone to come up with a better program. What might the secret of Seven Second Self Defense be worth to you? Probably hundreds of dollars, but you can instantly download all of them for the bargain basement price of now only $99.97..
BE SAFER, STRONGER, HEAL THIER! Don’t you deserve the best instruction? Your safety matters don’t leave it in the hands of some less experienced trainer. Learn from the best, don’t settle for the rest. I know that this will work for most of America to keep them safe. Even people who are out of shape and think they can not defend themselves will be able to drop that bad guy like a ton of bricks. 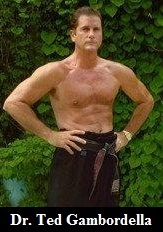 I have know Dr. Ted for almost 40 years and I can say he is one of the Finest Martial Arts Instructors I have ever meet. I feel very confident in saying that anyone who studies the E Books and DVD’s of Dr. Ted will be very successful and very happy. Dr. Ted will show you how to be a Champion! I had been training for years, and after only a few weeks with Dr. Ted’s materials I was able to finish Win First Place in a major Tournament. Women’s Self Defense Seminar DVD… $49.95 Value Total Self Defense training for Women. You will learn to use the Seven Second Self Defense System. You will learn escapes, counters, releases, and how to use the Gambretta to defend yourself against any defender of any size. The Cane is a Legal Carry Weapon that can be used by people of all ages with devastating effect. You will learn to use the Cane as an effective Self Defense Weapon in any situation. Download Today And I’ll Also Give You A Huge Collection Of Valuable Bonuses 100% FREE! 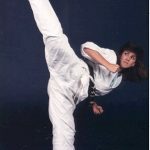 This complete self defense package is stuffed full of great advice, training techniques, over 120 strikes, and the bonuses I’m about to share with you have even more in depth self defense techniques that you won’t be able to find anywhere else online. By downloading my guide today I’ll give you a $100 in bonuses, just to make this offer even better and more exciting for you. This is your reward for acting fast and being one of the next 20, 13, 7 people to download my manuals. No other fighting system can help you defend yourself as effectively in the real World. You need the Seven Second Self Defense System. You get it all over a $97 value, plus remember you also get $358.98 cents worth of additional information and tools for- – FREE! We provide these bonuses for you because we care about the quality of information you receive. 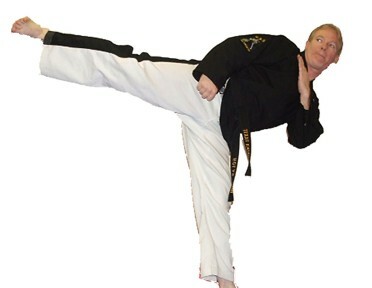 "I have studied the martial arts for over 23 years. I have also been a part time bouncer, and in Bail Enforcement or Bounty Hunting in my younger years. I can say without a doubt that this is some of the most powerful information you will ever read or see anywhere. I am so honored to provide you my thoughts on this system. I know that this will save many women from violent attacks, and help people of any background protect themselves in a parking lot, store, alley, bar, or really anywhere." This is the easiest to learn self defense system in the World. It is safe and can help you help yourself. The Seven Second Self Defense System is simple and easy for anyone to use. THIS IS A DIGITAL DELIVERY ITEM. ALL DVD’S AND BOOKS WILL BE ONLINE FOR DOWNLOAD.